You can give online, set up recurring giving, see your giving record, and even print your own year-end giving statement. All giving information is 100% private. The first step in setting up recurring giving is to request a Church Community Builder (CCB) login. Request a login here. ​ After we receive your request, you will be sent an email with an activation link. Your user name will be your email address. Choose your password and click Submit. You may access our CCB User Manual for further information, or email us with questions. 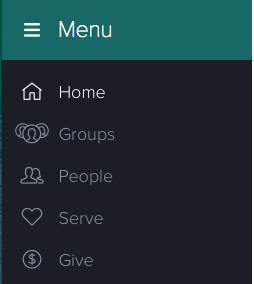 When you log into your CCB account there will be a menu on the left. Click on Give. On the Giving page you may choose a one time gift or schedule repeating gifts. 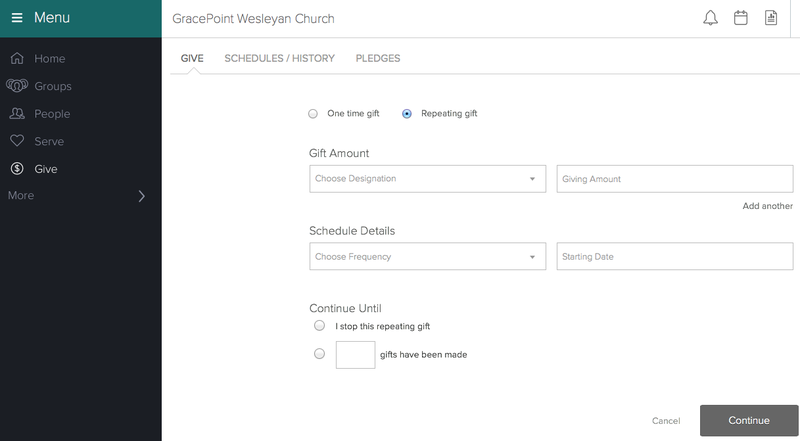 You can even schedule repeating gifts for areas other than tithes & offerings, such as missions giving or for the building expansion. Once you have filled out the amount and schedule details, click Continue. 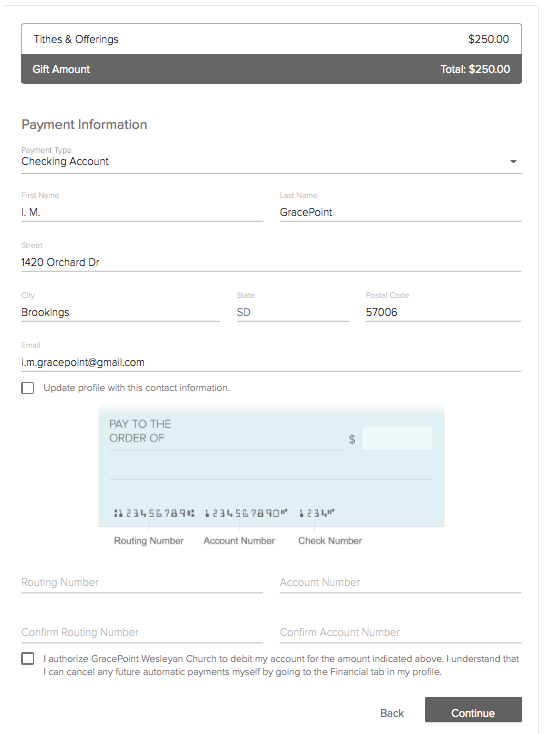 Click on the arrow below and to the right of Payment Information to choose either Checking Account or Debit/Credit Card. CCB will autofill your contact information but you will need to enter the checking & routing number, or credit card number, expiration date & card code. 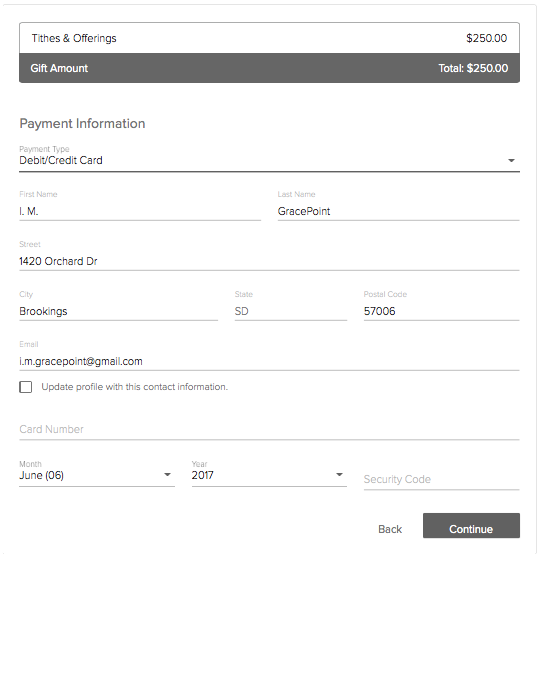 If the contact information that the church has on file is different from the billing information for your credit card, please update the information on the form. This will not update your personal record; it will only provide the correct information for the credit card transaction. (If, however, the information the church has on file is incorrect, please check the box to update your profile.) Click the authorization confirmation, then click Continue. A box will pop up with a summary of the transaction. Click to confirm and your repeating gift is complete.